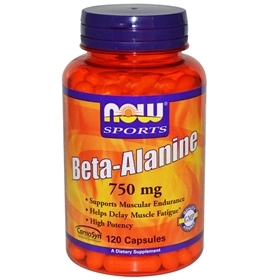 The greatest natural dietary sources of beta-alanine are believed to be obtained through ingesting the beta-alanine containing dipeptides: carnosine, anserine and balenine, rather than directly ingesting beta-alanine. These dipeptides are found in protein rich foods such as chicken, beef, pork and fish. It is predominantly through ingesting the dipeptide carnosine that we ingest most of our beta-alanine, as the two other dipeptides are not found nearly as plentiful in our typical coniferous diet. However, obtaining beta-alanine through these dipeptides is not the only way, as our bodies can synthesize it in the liver from the catabolism of pyrimidine nucleotides which are broken down into uracil and thymine and then metabolized into beta-alanine and B-aminoisobutyrate.